In 2011, the proportion of the population aged 3 and over in Scotland who could speak, read, write or understand Gaelic was 1.7 per cent (87,000), compared with 1.9 per cent (92,000) in 2001. Within this group, the number of people who could speak, read and write Gaelic in 2011 was 32,000, 0.6 per cent of the population aged 3 and over; this was the same proportion as in 2001. For Scotland as a whole, the proportion of the population aged 3 and over able to speak Gaelic was 1.1 per cent (58,000 people); a slight fall from 1.2 per cent (59,000) in 2001. The council areas with the highest proportions able to speak Gaelic were Eilean Siar (52 per cent), Highland (5 per cent) and Argyll & Bute (4 per cent). Bidh luchd na Gàidhlig a' faicinn na toraidhean seo mar bhrosnachail, ged a tha crìonadh ann, air sgàth gur e crìonadh cho beag a th' ann, is an t-eagal againn uile gum biodh an crìonadh air a bhith mòran nas miosa. Tha (beagan) a bharrachd de dhaoine òga le Gàidhlig cuideachd, agus barrachd sgilean sgrìobhadh amsaa ann. Tha mi fhìn toiliche gu bheil e cho math 's a tha e, ach chan eil adhbhar air euphoria ann, agus tha stuth gu leòr ann a chleachdas an lobaidh an aghaidh na Gàidhlig. M.e. cha robh fìor chothrom ann "quality" a mheasadh, a bharrachd air "quantity". Dè na beachdan agaibhse mu a dheidhinn? Gu mì-fhortanach far a bheil crionadh gheibhear fìor dheagh Ghàidhlig, 's e sin ri ràdh an fheadhainn aig an robh Gàidhlig bho thus. A-nis saoilidh mi gu bheil coimhearsnachd gu math diofraichte ga thogail aig a' cheann eile far a bheil beagan fàs. Bidh feadhainn a chumail a mach gur e bailtean Potemkin a tha a h-uile càil sin. Tha fhios agam nach eil e cho simplidh ri sin ach...uill tha mi toilichte leis na h-aireamhan ud ach mothaichail gu bheil atharrachaidhean an sas den ghonthaich. Dè tha air tachairt ris a’ Ghàidhlig eadar 2001 agus 2011 ann an Alba? Tha i fhathast a’ crìonadh. Tha cuid den t-sluagh aig a bheil Gàidhlig ag atharrachadh bho 0.3% ann an Dùn Phrìs is Gall-Ghaillimh gu 52.2% anns Na h-Eileanan Siar. Ann an Alba uile is 1.1%. Ach dè na h-atharrachaidhean as inntinneiche a tha air tachairt anns an deichead ud, 2001 gu 2011? Tha Gàidhlig air tuiteam bho 1.16% gu 1.12% den t-sluagh. Mar àireamh, chan eil an tuiteam cho mòr, oir tha meudachadh air a bhith ann an àireamh-sluaigh na h-Alba (bho 5,062,011 gu 5,118,223: +56,212): tha àireamh an fheadhainn aig a bheil Gàidhlig air tuiteam bho 58,552 gu 57,375: -1,177 a-mhàin: sin e, lùghdachadh de 2% nuair a bhiodh an dùil lùghdachadh de 4% a rèir chuidean na Gàidhlig. Ach chan eil na h-atharrachaidhean seo còmhnard air feadh na h-Alba idir. Mar eisimpleir, ann an Siorrachd Àir an Ear dh’èirich àireamh na Gàidhlig bho 383 gu 576: 57.2% a bharrachd na ’n dùil; nuair ann an Crìochan na h-Alba thuit àireamh na Gàidhlig bho 487 gu 375: 23.2% nas lugha na ’n dùil. Ach chan eil na h-àiteachan seo ann an tìr thradaiseanta na Gàidhlig - a’ Ghàidhealtachd - a chumas a staigh Na h-Eileanan Siar, A’ Ghàidhealtachd fhèin agus Earra-Ghàidheal is Bòid. Dè tha a’ dol anns na sgìrean seo? Seo an aon ùghdarras ionadail an Alba far a bheil Gàidhlig aig mòrchuid an t-sluaigh. Ach, a-rèir nam figearan, cha mhair seo. Oir seo na cuidean: 1991 - 19,546, 66.0%; 2001 - 15,723, 59.3%; 2011 - 14,066, 52.2%. Agus nuair a choimheadar air na tha a’ tachairt aig an taigh, chan eil ach 40% den t-sluagh a’ cleachdadh Gàidhlig an sin mar as àbhaist, le 57% a’ cleachdadh Beurla a-mhàin. Anns an fhìrinn, tha Gàidhlig na mìon-chànan anns na h-Eileanan Siar mar-thà. Ach, a-rèir nam figearan, chaill Gàidhlig 3,823 (20%) eadar 1991 agus 2001 ach cha do chaill i ach 1,657 (10%) eadar 2001 agus 2011. Is math a dh’fhaodte gun nochd seo nas maireanneiche: dè an duilgheadas? Eadar 1991 agus 2001 bha lùghdachadh de 3,098 ann an àireamh-sluaigh na h-Eileanan ach eadar 2001 agus 2011 bha meudachadh de 427 ann. Mar sin, is math a dh’fhaodte nach do chaill Gàidhlig ach 725 den t-sluagh a bha fhathast ann an 2001, ach gun do chaill i 2,084 den t-sluagh a bh’ ann an 2011. Ciallaichidh seo in-imrich aig nach eil Gàidhlig agus nach eil airson Gàidhlig ionnsachadh. Agus carson nach eil in-imrich airson Gàidhlig ionnsachadh? Seo thairis air amas na h-aiste seo, ach is math a dh’fhaodte gur ann air sàillibh comas a h-uile nì a dhèanamh tro mheadhan na Beurla gun iarrtas sònraichte. Seo na cuidean don Ghàidhealtachd: 1991 - 14,713, 7.2%; 2001 - 12,069, 5.8%; 2011 - 12,039, 5.4%. Tha meudachadh anns an àireimh-sluaigh - bho 204,004 an 1991 gu 208,914 an 2001 gu 224,606 an 2011: tha seo air sàillibh Inbhir Nis agus a sgìre: cuideachd an fheadhainn a tha a’ sìreadh àite iomall (“far from the madding crowd”, mar a chanar). Ann an 2001 cha robh àiteachan Gàidhlig air fhàgail ach san Eilean Sgitheanach: chan eil na mion-phuingean ud rim faotainn fhathast bho 2011. Ach is math a dh’fhaodte gun nochdar an aon chùis - ’s dòcha le cuid nas lugha de dh’àiteachan. Gu eu-choltach ris Na h-Eileanan Siar, chan eil lùghdachadh mòr air a bhith ann an àireamhan na Gàidhlig: 30 a-mhàin. Ach mar phàirt den t-sluagh nochdaidh cùisean nas miosa. O chionn 2001, tha 15,692 daoine a bharrachd anns A’ Ghàidhealtachd - ach chan eil ach 12,039 ann aig a bheil Gàidhlig. Agus tha an coltas ann gum bi seo a’ tachairt a-rithist gu 2021. Dè nithear airson Gàidhlig a sgaoileadh am measg nan in-imreach? Oir ’s ann a tha coimhearsnachdan Gàidhlig beò ann an-dràsta, ach tha cunnart ann gun tèid am bàthadh am measg cuan na Beurla mura sgaoilear Gàidhlig don in-imrich. Leanaidh Gàidhig air a crìonadh sgriosail an seo. Seo na cuidean: 1991 - 4,877, 5.3%; 2001 - 4,158, 4.6%; 2011 - 3,451, 4.0%. Tha an lùghdachadh an seo nas miosa na ’n dùil (Alba air feadh) le 8.7%. A bheil coimhearsnachdan Gàidhlig air fhàgail ann an Earra-Ghàidheal is Bòid? Sin e, taobh a-muigh den eadar-lìon 7c. Anns na trì sgirean seo, tha Gàidhlig aig 29,556. Bha i aig 39,136 an 1991 agus 31,950 an 2001 agus mar sin tha an crìonadh fhathast ann, ged nach eil e cho dona san deichead mu dheireadh. Mar cheudad, chaidh i bho 12.0% an 1991 gu 9.8% an 2001 gu 8.8% an 2011. Bha seo 7.5% nas miosa (2001-2011) na bha an Alba air feadh, le call mòr an Earra-Ghàidheal is Bòid agus buaidh in-imreach mhòr anns Na h-Eileanan Siar. Mar cheudad de Ghàidhlig an Alba air feadh, seo na figearan: 1991 - 59.3%, 2001 - 54.6%, 2011 - 51.5%. Bha feadhainn ann a bha a’ ro-innse gum biodh an cunntas-sluaigh seo (2011) a’ nochdadh gum biodh a’ mhòrchuid den Ghàidhlig aig a’ Ghalldachd (no roinntean taobh a-muigh de na sgirean tradaiseanta): cha do thachair seo, ach tha e glè fhaisg. Anns na sgìrean eile, tha àireamh na Gàidhlig air gluasad mar a leanas: 1991 - 26,842, 2001 - 26,602, 2011 - 27,819. 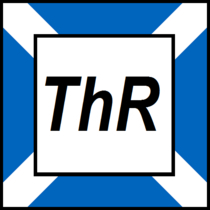 Gu seo, tha barrachd air 1,000 a tha a’ bruidhinn Gàidhlig anns na h-ùghdarrasan ionadail Baile Obar Dheathain (1,628), Siorrachd Obar Dheathain (1,397), Baile Dhùn Èideann (3.157), Fìobha (1,272), Baile Ghlaschu (5,891), Siorrachd Lannraig a Tuath (1,326), Peairt is Ceann Rois (1,275) agus Siorrachd Lannraig a Deas (1,232). Mar còmhlan, tha atharrachadh na Gàidhlig 6.9% nas motha na tha e an Alba air feadh, le meudachadh de 11.6%. Ach is glè bheag na h-àireamhan mar cheudad den àireimh-sluaigh: 0.6% air feadh, le 1.0% ann am Baile Ghlaschu, 0.9% an Sruighlea, Peairt is Ceann Rois agus Siorrachd Dhùn Breatann an Ear. Is fhiach coimhead air àireamh na Pòlannais. Tha 24,974 daoine air feadh na h-Alba a bhios a’ cleachdadh Gàidhlig aig an taigh. Ach tha 54,186 a bhios a’ cleachdadh Pòlannais aig an taigh. Mar sin, tha tuilleadh cloinne - thairis air 2 thuras a bharrachd - a thèid an togail leis a Phòlannais ann an Alba na tha a thèid an togail leis a’ Ghàidhlig. Agus dè an diofar? Chan eil coimhearsnachdan ionadail Pòlannais ann an Alba, ach tha (fhathast - gu dìreach) coimhearsnachdan ionadail Gàidhlig ann. Agus is seo an t-adhbhar carson a tha mairsinn choimhearsnachdan den leithid cho cudromach - às an aonais, cha bhiodh Gàidhlig nas bunntainneiche a dh’Alba na cànan sam bith eile a rachadh a bhruidhinn le 1% de shluagh na h-Alba. Cuideachd, nochdaidh seo nach fhaodar dàn na Gàidhlig crochadh air dealas luchd beag a tha a’ fuireach am measg saoghal na Beurla, mar a chithear, m.e., ann an Dùn Èideann. Feumar fèin-mhisneachd a thogail am measg nan coimhearsnachdan Gàidhlig nàdarra a tha fhathast againn. Mòran taing, a Sheonaidh - bha thu uabhasach dìcheallach agus tha e inntinneach gu dearbh coimeas a dhèanamh eadar na h-àireamhan agus a bhith a' smaoineachadh mu adhbharan is buaidhean. Tha stuth ri cnàmh ann am pailteas, dhuinne agus dhan luchd-planaidh - agus dha na 'coimhearsnachdan Gàidhlig tradiseanta'. Naidheachd a-nis mu fhigearan nas mionaidiche sna paraistean agus an crìonadh ann an sgìrean nan Eileanan Siar air a dhearbhadh. Mur a bheil frangais agaibh na gabh dragh chan eil e ro fhada bhon bheurla Mhothaich mi nach eil ach 3340 luchd-ionnsachaidh aca agus iadsan an sas classaichean a h-uile seachdain. Saoilidh mi nach eil moran diofar eadar àireamh-shluaigh thall an sin agus ann an Alba agus gheibhear crionadh gu mor sna sgirean tradiseanta mar a gheibhear air a' Ghaidhealtachd. Direach mar a tha e ann an Alba saoilidh mi gur anns na bailtean mora bidh an cuid as motha luchd-breatnais ri cluinntinn san am ri teachd. Taing, a Ghràisg, airson sin. Inntinneach is feumail. The newly-released figures about Gaelic speakers in the north-west Highlands and Islands offer a sombre counterpoint to the fact that, in the whole of Scotland, numbersdecreased only slightly between the censuses of 2001 and 2011. As we reported last month, in that last decade the number of Gaelic speakers across Scotland fell by just over a thousand, or less than two per cent, from 59,000 to 58,000. That was hailed by Bòrd na Gaidhlig as “a major decline in the rate of decline” which, on the face of things, it was. As we commented last month, that was “counter-intuitive in the north-west Highlands and Islands, where we see everyday community Gaelic disappearing from parish after parish like snow off a dyke”. This week’s statistics confirm our suspicions. All across what used to be known as the Gaidhealtachd the number of Gaelic speakers has fallen — and fallen substantially. There is no “major decline in the rate of decline” here. In such strongholds as northern and western Lewis, South Uist and Trotternish in Skye, whether the overall population has risen slightly or fallen slightly the number of Gaelic speakers has declined by between five and 10 per cent. That is perfectly in line with the grim pattern of earlier decades. Even in such recent growth areas as Sleat the 2011 numbers are down, in terms of both percentiles and actual bodies on the ground. The circumstances in two small but totemic island communities should be enough to dispel any complacency and rubbish any more talk of “a major decline in the rate of decline”. In 2001 Eriskay contained the highest percentage of speakers of Scottish Gaelic in the world. It has now fallen from 80 per cent to just over 70 per cent. The closure of the island’s Gaelic-medium primary school will only accelerate that process. Twenty years ago 61 per cent of the people of Raasay, the birthplace of Sorley Maclean, spoke Gaelic. Now just 25 per cent still have the great poet’s language. It is of course good news that the numbers of Gaelic speakers under the age of 20 has risen by a small amount. But the brutal truth is that the number of fluent Gaels in Scotland is now so small that a few hundred children attending Gaelic-medium schools in Glasgow, Edinburgh and Inverness can effectively mask what is still a dismal picture. Of course children outside the Gaidhealtachd should learn Gaelic. We are bound nonetheless to wonder what will happen to their fluency when they grow up. Will they maintain it in Anglophone communities? Will it be passed on to their children? Most importantly, where will they go to exercise their Gaelic in a natural, everyday context if it is unavailable in Uist, Ness, Staffin or Raasay? Without a homeland in the north-west, Gaelic will become little more than an academic exercise or a hobby. There were some encouraging signs in the 2011 census. But the black cloud which has hung over Highland Gaelic since the 1940s is still there. Unless it can be dispersed the battle for the language will continue to be slowly, agonisingly slowly, lost. When the headline figures for Gaelic speakers from the 2011 Census were published a few weeks ago, there was much talk of corners having been turned and policies delivered. While as anxious as anyone to find positive signs, I was a little concerned that those who were voicing these upbeat sentiments might fall into the trap of believing their own propaganda. That really would be dangerous. encourages analysis or study of trends. I hope that Bòrd na Gàidhlig will remedy this quickly. The purpose of a Census is not only to count numbers but to allow for planning on the basis of information produced. In this respect, Gaelic is no different from health or housing. The data drawn from the Census are not sociological curiosities but essential tools for creating the necessary responses. conveyed. So let’s have an easily accessible compilation of the Census information as it relates specifically to Gaelic, as a starting-point for informed discussion. around 100,000, which is a reasonable base to defend and build on. And one which certainly has rights. The forces working against Gaelic, and all minority languages, are formidable and have been for decades past. They include the growth of mass media and the increased mobility of population. The past 40 years have witnessed an enormous transition from largely indigenous Gaelic- speaking communities to ones which both need and attract a wider mix of backgrounds and skills. But none of this is new and none of it is peculiar to the Scottish Gaidhealtachd. The best that can be said is that we have been slower and less successful in countering these forces than some other comparable societies. The inescapable logic of that statement is that if the position of Gaelic is not going to decline further, in both relative and absolute terms, then the scale of the response has to increase quite dramatically. Overwhelmingly, this must come through the education system. There is really no other route. The numbers of parents who will pass on Gaelic to their children in the 21st century without support from the schools system can probably be counted in their hundreds. It is an unrealistic expectation, no matter how much parents wish it to be otherwise as I can witness in the community I live in, where Gaelic-medium education was withdrawn a few years ago. There are currently around 2,500 children in Gaelic-medium primary schools around Scotland. That has been pretty static for the past decade. The numbers entering P1 have edged up to just under 500 this year so if they all stick the course, we could be looking at 3,500 within a few years. Fine, but not nearly good enough — particularly as nearly all the growth is taking place in the cities. This is a challenge which cannot be left to local education authorities alone. They do not have the money and most attempts to increase Gaelic expenditure are already met with resistance which it is politically impossible for councils to ignore, even if they want to. The expansion of Gaelic-medium education has to be driven directly by the Scottish Government wherever an unfulfilled demand exists. There need to be priority areas where the language still has a decent base but is clearly on the way out unless more is done. Wester Ross is an example of this. It is remarkable that the parish of Gairloch still reports almost 20 per cent Gaelic speakers or understanders within its 2,277 population. This is an incredibly important base to defend. Identify what more can be done, then do it. Islay is another good example. A couple of censuses ago, there were over 50 per cent Gaelic speakers in a couple of parishes on the island. Now it down to a uniform 15-20 per cent. I have heard parents there put the case for what more could be done — pre-school provision, school transport and so on. If we are serious about getting above penny numbers, then these demands need to be met. The resilience of Gaelic in the teeth of adversity continues to astonish, in places where not a finger has been lifted to help it and barely a word is permitted in schools. Forty- eight speakers on Raasay, 26 on Colonsay, 14 on Eigg... Are these precious threads simply to fade away without any acknowledgement of what is being lost? That is not a local question but one which has to be addressed by the conscience of Scotland as a whole. If there were only 48 examples of a rare plant or 26 of a threatened bird species left in Scotland, then their homes would be awash with environmental designations and protection orders. The principle is the same even if the means of addressing it are more complex. But first it is necessary to recognise the value of what exists and of what would be lost. We are still a long way from doing that. Finally, I cannot resist a mention of the Scots Language Census returns. Dr Steve McCabe, who criticised my scepticism on this topic, will be delighted to learn that there are 389 alleged speakers of the Scots language in the parish of Portree. Not quite as many as on Mull where there are supposedly 466, as opposed to a mere 333 speakers of Gaelic. My opposition is not to the Scots language, with or without inverted commas, and good luck to those who value it as part of their culture. It is to the abuse of the Census in order to produce politically-motivated statistics which everyone knows to be completely bogus. But that won’t stop them being used.